The Listening Book is about rediscovering the power of listening as an instrument of self-discovery and personal transformation. By exploring our capacity for listening to sounds and for making music, we can awaken and release our full creative powers. 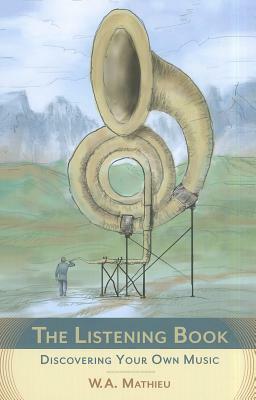 Mathieu offers suggestions and encouragement on many aspects of music-making, and provides playful exercises to help readers appreciate the connection between sound, music, and everyday life. William Allaudin Mathieu is a composer pianist whose long and varied career ranges from his early work with the Stan Kenton band and The Second City Theater, to his extensive catalogue of song cycles, works for choir, and instrumental concert music. He has recorded extensively, and is the author of The Listening Book, The Musical Life, and Harmonic Experience: Tonal Harmony from Its Natural Origin to Its Modern Expression.